A FEW WORDS FROM THE ARTIST: "I welcome portrait commissions. Bringing life to the clay with the added challenge of an exact likeness is fun to tackle. 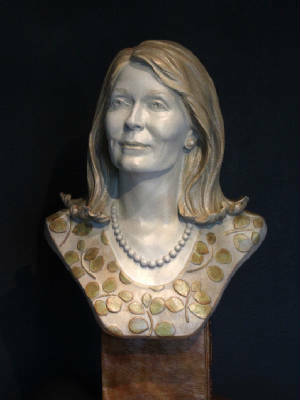 Before becoming a sculptor I painted commissioned portraits for many years. 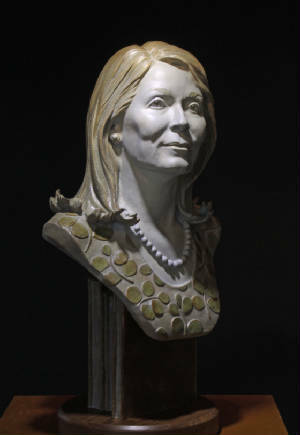 When sculpting portraits the artist's eye needs to observe the human form with the highest accuracy.